Haffer, J. Avian Speciation in Tropical South America. Cambridge, MA: Nuttall Ornithology Club, 1974. Short, L. Woodpeckers of the World. Delaware Museum of Natural History, 1982. Sibley, C. G., and J. E. Ahlquist. 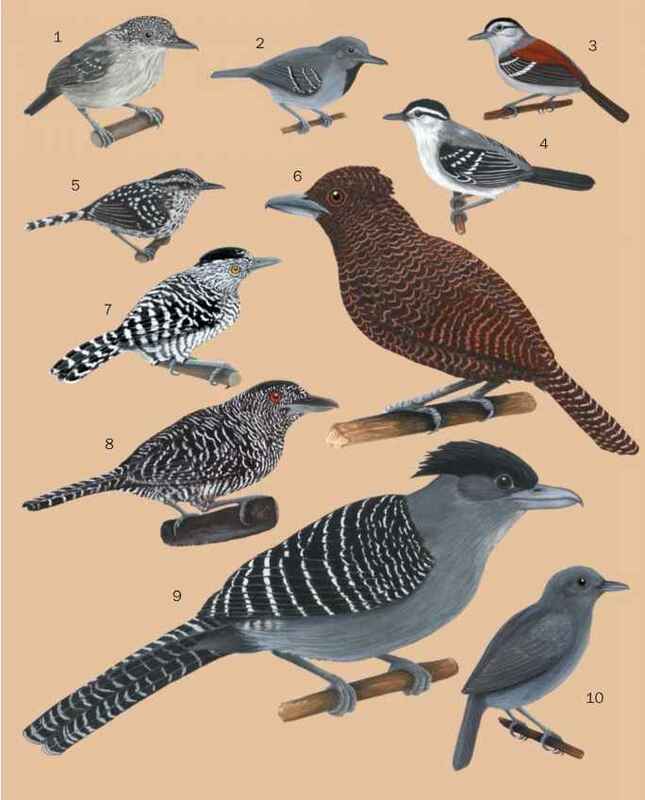 Phylogeny and Classification of Birds: A Study in Molecular Evolution. New Haven: Yale University Press, 1990. Skutch, A. F. Life of the Woodpecker. Santa Monica: Ibis Publishing Company, 1985. Höfling, E., and M. F. Alvarenga-Herculano. "A Comparative Study of the Bones of the Shoulder Girdle in the Piciformes, Passeriformes and Caraciiformes, and also in Related Orders of Birds such as the Trogoniformes, Coliiformes, Apodiformes, Strigiformes and Carpimulgiformes." Zoologischer-Anzeiger 240 (2001): 196-208. Remsen, J. V., Jr., M. A. Hyde, and A. Chapman. "The Diets of Neotropical Trogons, Motmots, Barbets, and Toucans." Condor 95 (1993): 178-192.